I have carried on this tradition for the holiday season and make Christmas cookies for our hard working crews. I like to include almonds when I am baking for our employees so they can literally taste the fruit of their labor. 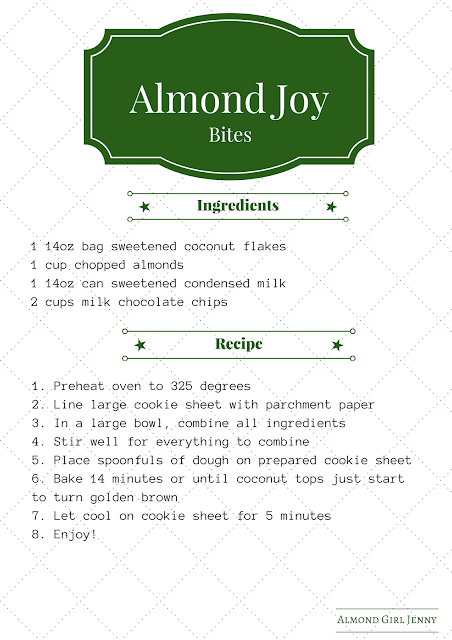 This time I tried making a cookie version of one of my favorite candy bars, almond joy. 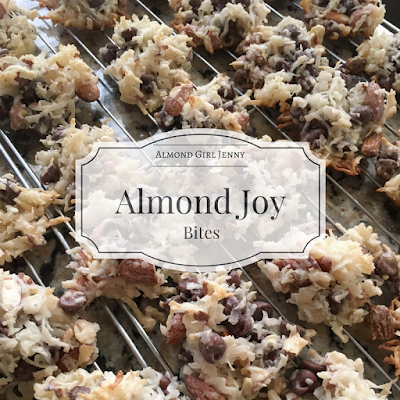 Almond Joy bites...I know! They are so easy and fast. But really, these are the easiest cookie I have ever made. 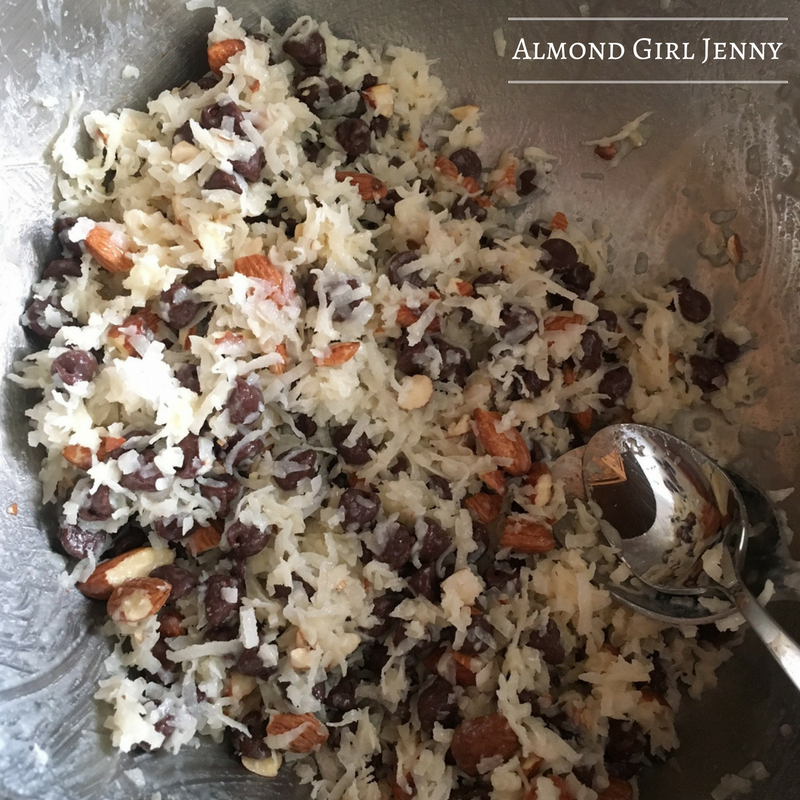 They are so fast and only 4 ingredients! How is that possible you say? Well when you are using the most flavorful, delicious 4 ingredients you simply don't need anymore. 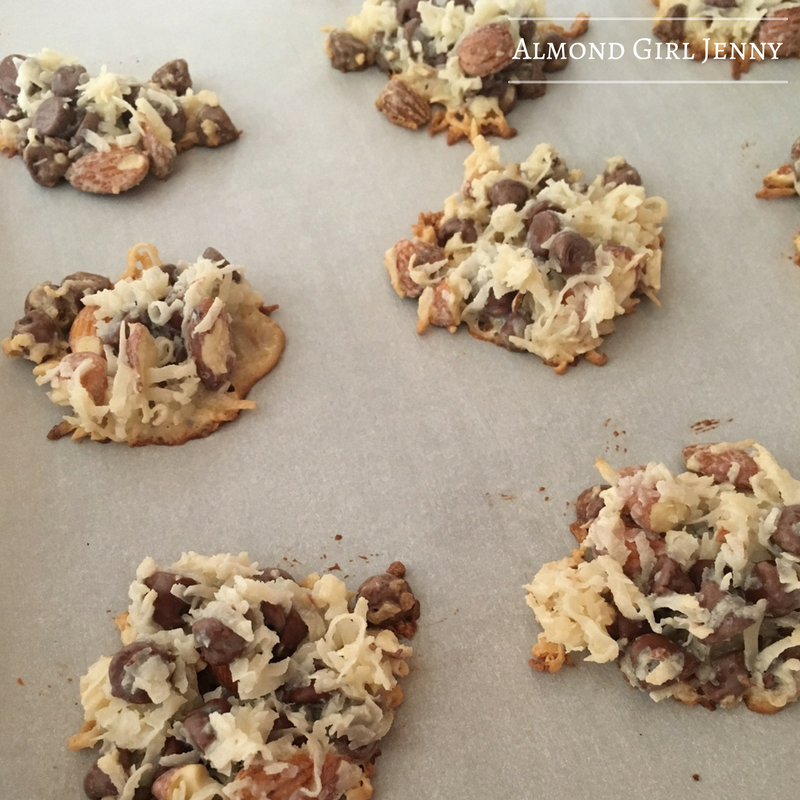 So, this Christmas do yourself a favor and add these yummy bites to your cookie list. They will come out of the oven a little gooey still, so let them sit and cool on the sheet for a few minutes. I know you will be tempted to just eat them right out of the oven, but be patient and they will be even better! Looks yummy will have to try it out!